Have you ever stayed up at night wondering if you could get sued for the images on your website? Should you trademark your practice? How can you prevent other people from stealing the content on your website? 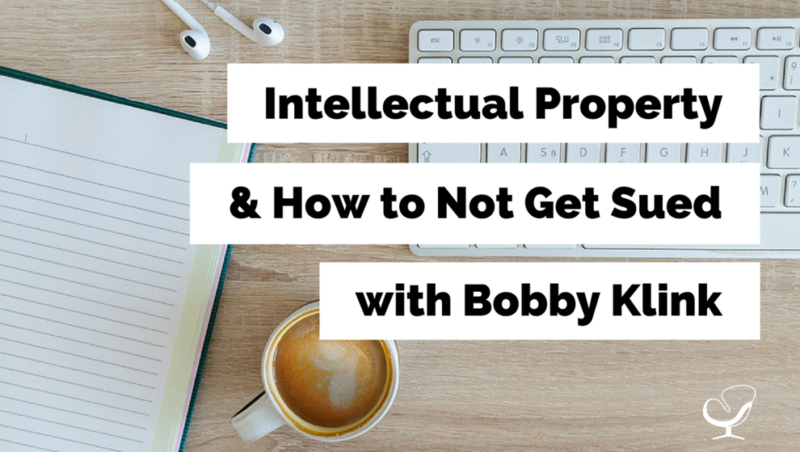 In this episode, Joe Sanok speaks with Bobby Klinck about intellectual property and how to not get sued. That’s where Brighter Vision comes in. Brighter Vision’s team of web designers will create you a website that is centered around attracting and retaining your ideal client so that you can have a nice looking website as well as a successful one. The best news yet? They’re having their biggest sale of the year RIGHT NOW! For the month of January, you can lock in your first year at Brighter Vision for only $49/month, a $120 savings from their base plan. If that wasn’t enough, they’re also raffling a FREE spot to the Next Level Mastermind Course for therapists that are ready to take their thriving private practice to the next level. To capitalize on this offer, simply visit this site: https://try.brightervision.com/joe/ to get started on your journey towards a successful website. Bobby Klinck is not a typical intellectual property attorney. Even though he got his degree from Harvard Law, practiced law for some of the most prestigious firms in the country, and was mentored by Supreme Court Justice Neil Gorsuch, you would not guess he was a lawyer by visiting his office; His whiteboard is filled with tasks related to platform building, inbound marketing, and sales-funnels and his bookshelf is filled with books written for online entrepreneurs. Bobby is an online entrepreneur whose main expertise is the law. He founded his company, Your Online Genius to help online entrepreneurs who can’t justify spending tens of thousands of dollars on an attorney protect their online businesses. Bobby Klinck ‘fell into’ intellectual property. He used to be a Federal Prosecutor. He then joined a small entrepreneurial law firm. Soon after he joined them, he was put in charge of a patent infringement case. Bobby loved doing this and so decided to expand his services within the intellectual property area and go into it full-time. Trademarks: a word / phrase / image that identifies the source of a good or service, i.e. : who is providing it. For example, Nike’s tick and ‘Just Do It’ are their trademarks. Copyright: covers the right to make a copy or distribute any kind of creative work. Trade Secrets: law that protects your confidential information, for example: Coca Cola’s recipe. A more relevant example could be email lists. Right to Privacy / Publicity: you can’t take an image of someone or use their name for commercial uses without their permission. Using Google images will get you into trouble at some stage – TRUTH. There is a doctrine called ‘fair use’, so you can make fair use of copyright material. However, you don’t want to rely on this unless you are working one-on-one with a lawyer. The places where fair use tends to be allowed is in reviews. Also, if you are making use of it for commercial use, it’s usually not ok. The most important thing is to make sure you are not stepping on anybody else’s toes. However, if someone steals your blog post, more than likely, you’re not going to do anything about it. There is the Digital Millennium Content Act, which can help. The Digital Millennium Copyright Act (DMCA) is a United States copyright law that implements two 1996 treaties of the World Intellectual Property Organization (WIPO). It criminalizes production and dissemination of technology, devices, or services intended to circumvent measures that control access to copyrighted works (commonly known as digital rights management or DRM). It also criminalizes the act of circumventing an access control, whether or not there is actual infringement of copyright itself. In addition, the DMCA heightens the penalties for copyright infringement on the Internet. You get some trademark and copyright protection automatically as soon as you start using your name in commerce. If you have a brand name other than your personal brand, you can get it registered as a trademark for around $375. 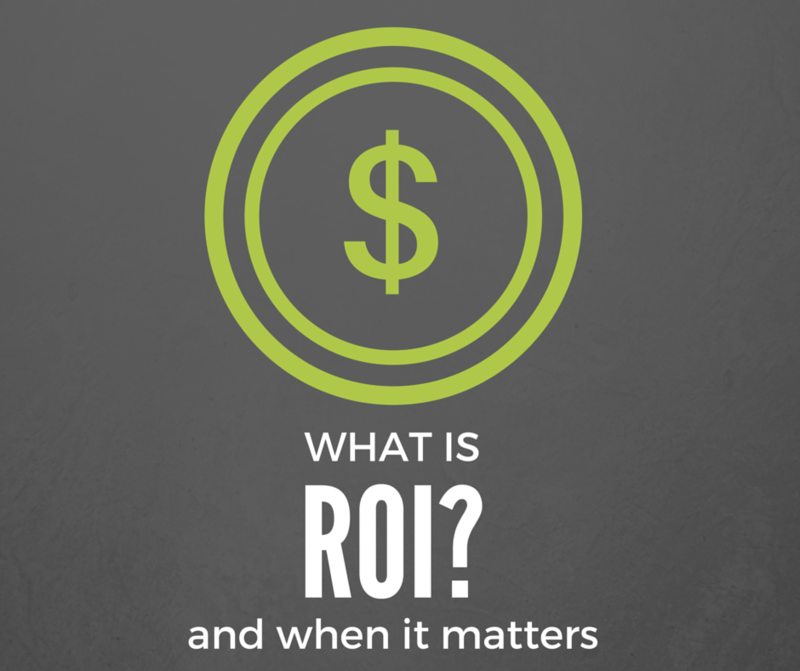 Consider this (especially) if your brand operates initially. However, you pay separately to register your name, logo, etc. If you are publishing blog posts, ensure you include in your terms that you are not providing medical / legal advice. 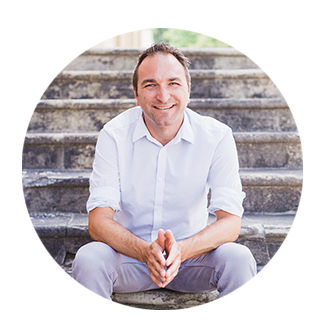 [START] [REGARDING BRIGHTER VISION] Joe Sanok: What’s the point of having a beautiful website that doesn’t attract the clients that you want to see. A nice looking website doesn’t equate a successful website. The truth is your current website may even be turning off potential clients. That’s where Brighter Vision comes in. Brighter Vision’s team of website designers will create you a website that’s centered around attracting and retaining your ideal client, so that you can have a nice looking website as well as a successful one. The best news, they are offering their biggest sale of the year right now in the month of January, you can lock in your first year with Brighter Vision for only $49 a month. That’s a $120 savings from their base plan. And if that wasn’t enough, they are also raffling a free spot in my next level mastermind group which is a $600 a month value, which includes Slow Down School this year. So if you want to capitalize on this offer, just go to www.practiceofthepractice.com/brightervision to get started with your journey towards a successful website. This is the Practice of the Practice Podcast with Joe Sanok, session #274. [MUSIC] [INTRODUCING BOBBY KLINCK] Joe Sanok: Well, today in the practice of the practice podcast, we have Bobby Klinck, and Bobby Klinck has a degree from Harvard Law. He practiced law from some of the most prestigious firms in the country, but he is not your intellectual property attorney. He is an online entrepreneur whose main expertise is the law. He founded the company Your Online Genius to help online entrepreneurs who can’t justify spending tens of thousands of dollars on an attorney to protect their online business. So, I am so excited to have Bobby on the show today. Bobby, welcome to the Practice of the Practice Podcast. Bobby Klinck: Thanks for having me Joe. I’m excited to be here. Joe Sanok: Yeah, yeah. I mean we’ve had attorneys on, but never from the perspective of intellectual law. So maybe take us back a number of years and tell us about why you specialized in that? Bobby Klinck: Well, I can’t claim to have had some brilliance behind it. I ended up focusing on that area largely for the same reasons that lawyers end up where they practice in a lot of ways, not as I fell into it. What happened was this was, I don’t know, 8 years ago or so. There about I was coming out of a job where I was a federal prosecutor. I was putting people in jail for federal crimes. And I joined this small entrepreneurial law firm. They had a particular expertise, which was not intellectual property. They had a different expertise which really wasn’t my forte either. So I joined them. And right after I joined them, they had a couple of cases in their expertise that were going really heavy and keeping them busy. But then they had this little patent infringement case which is a form of intellectual property. And they knew nothing about that either. And so they said, well, hey, why don’t you handle this. It’s purely a let’s kind of separate the wok out. So I took that and ran with it. Now, it was a fascinating case. I mean on that case it was essentially me against a team of about 10 lawyers, one of the biggest law firms in the country and they were representing the Chicago Mercantile Exchange which is, you know, one of the biggest commodities exchange of the world. I am representing this small tiny little company. So it was a true David versus Goliath. And I was learning as I was going, but I loved it. And ever since then, that’s basically what I have done and I’ve expanded out to other areas of intellectual property. And I do advising and help people now, avoid fighting themselves in those lawsuits in the first place. Joe Sanok: Aah, so did David beat Goliath in that one? Bobby Klinck: Well, we beat them up and down the court in the court case and then there was an administrative procedure where, you know, things were kind of ended up as a stalemate at the end of the day. Bobby Klinck: But it was, and that’s a long story you don’t want to hear about. But it’s this way that [00:04:57.16] in patent lawsuits there is all kinds of weird things that happen. [DEFINING INTELLECTUAL PROPERTY] Joe Sanok: So for people that really have never even thought about intellectual property, that never thought about patents or protecting what they are creating, what are some of the bullet points that they should know and understand, maybe some definitions, terms, just a general framework so that we make sure everybody is on the same page as we talk. Joe Sanok: Throwback to the 80s. Bobby Klinck: That’s right. So if you ever watched that, you realize or remember at the beginning there is the FBI warning about copyright infringement. Well, copyright covers and protects the right to basically make a copy or distribute any kind of creative work. So movies, music, written works. Really just about anything that has some spark of creativity. Now, it doesn’t cover the white pages of a phone book because that’s literally you’re just kind of putting together an alphabetical list of information. But anything else is protected. So for your listeners who are doing any kind of online presence, whether it’s blog post or videos or this podcast for example or [00:07:44.25] that kind of stuff, that’s going to be protected under copyright law. Similarly of course, anything that other people have is also protected, so you have to be careful about that. And images is another area. Pictures are protected by copyrights. That’s an area where lot of people stumble. The next area is trade secrets. So this is the area of law that protects your confidential information. So the classic examples are things like the Coca-Cola formula or the recipe for Kentucky Fried Chicken, their Secret Spice recipe. But for small business like you and me and your listeners it’s more things like our email list, our customer list, our pricing. Anything about this kind of proprietary about how we do our business is protected as trade secret if you take reasonable steps to protect it. And so that’s kind of the four big categories. Then the fifth small area, it’s kind of two different things, is the right to privacy or the right to publicity, but it basically means you can’t take a picture of someone or an image of someone or use someone else’s name for commercial use, basically to promote your products without their permission. So those are the big areas that are covered under intellectual property law. [INTELLECTUAL PROPERTYMYTHS] [Myth One: Using Images from a Website] Joe Sanok: Thanks. That’s really helpful. Now, my wheels are kind of get turning of all the different maybe myths or things that I have heard. And since I have got you here, I might as well just kind of rattle off some of those things I have heard. So when it comes to copyright and trademark, I know that for example Google images – if you just go on Google images and take a photo, you’re probably going to get in trouble for that at some point. Is that correct? Bobby Klinck: That’s right. So that’s what I refer to as the right click save as problem. A lot of people go on to Google Images or anywhere else and they see an image they like and like, ooh, I’m going to save this and use it later. And if you do that you’re almost certainly infringing someone’s copyright because that’s why I mentioned images are protected as copyright. And that’s an area where a lot of people stumble. You have to get images the right way which means you have to get them under a license. Now, there is some images which have been dedicated to the public domain, which is just a fancy way of saying that the person who has any right says I disclaim any right. You can use it. But if you just go and do the Google Images you are asking for trouble. That’s where a lot of people stumble and you end up getting a letter from someone like Getty Images which is a big provider which charges lot of money for licenses for their images and they are going to say, oh, that’s nice. Thank you for using our images. Please pay me $2000 or $5000 or whatever [00:10:28.15] [LAUGH]. Bobby Klinck: So yeah, don’t do that. There are lot of resources out there. There are places… some of places I recommend, there’s a site Pixabay, which is P-I-X-A-B-A-Y. There is Pexels, which is P-E-X-E-L-S. Those websites have free images. They also have the right kind of licenses. I have a guide on that, but there are kind of three different things you are looking for in these licenses and they tick off all those boxes. Joe Sanok: Is that another, is that in that also [00:11:06.29]. Bobby Klinck: [00:11:06.27]. It’s the same. That’s the [00:11:08.05]. 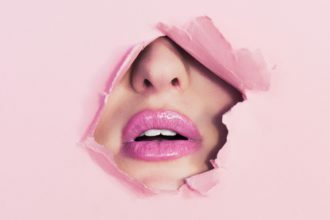 Joe Sanok: Pexels and then Unsplash. We will put links to that in the show notes if you guys are out for a run or doing something while you are listening to this. Bobby Klinck: Yeah, and for your listeners, what you need to look for… and again most people don’t want to have to read the license, right. And I get that. That’s why I’ve got an [00:11:29.14] help people. But if you don’t want to do that, you need to look for three things. One, you needed to see that it says it’s royalty free. Two, you need to see that it says, commercial uses allowed. And third you need to see that it says, no attribution is required. If the website you’re looking at has all three of those, you’re good. So those are kind of the three elements of a good copyright license. Joe Sanok: And it seems like websites are getting better at using kind of those little icons for creative comments, but then also saying whether or not it’s attribution free, and even Flickr and other websites you can search by things that have all those different attributes you just noted. But I find it easiest to just use a website that just says, like Unsplash, straight out – all these photos you can use. Bobby Klinck: Yeah. That’s right. That’s the way I do it because I don’t want to have to look through it. And it’s good, you mentioned the attribution. That’s the one that trips people up a lot. And what I tell you is, look some people, honestly, photographers just want you to give attribution to them. But there are some unsavory characters out there who put up images they are giving away for free, they [00:12:35.21] things, but they require attribution. And they are doing it expressly so that people will infringe their copyrights, making then send them a letter demanding money. Joe Sanok: So [CROSSTALK] they would accidently not put these photos by, you know, often guy 21. Bobby Klinck: Yeah and it’s not even accidently. It’s like you know most people don’t even think about that, because most people just aren’t thinking one way or the other. You go to a site and again what I would tell you is there are lots of list out there about free image site and I have looked at some of them and they are not all okay because they had this attribution requirement. Well, if you are not a lawyer, you are not thinking about those things. [Myth Two: Using Clips from Movies] Joe Sanok: Right. So what about other things like using clips from movies. Like I have heard that you can use like a certain number of seconds if it’s just meant to kind of better society. How does that work? Bobby Klinck: [LAUGH] I hear this all time, is the 5-second rule. It’s the 7-second rule. It’s 10-second rule. No. None of that’s true whether it’s a movie or music. There is a doctrine called fair use. So you are allowed to make a fair use of copyrighted material. What I am going to tell you though is you don’t want to rely upon that unless you have a working one-on-one with a lawyer because it’s one of those things, and this is a sad part about the law is there is not a clear answer. You are going to have to do a lot of weighing and all these things and… I mean here’s an example that I can tell you could never. You can never say, “Well, I’m just going to use 7 seconds of a copyrighted song as my intra music for my podcast.” That’s never going to be allowed. The places where fair use tends to be allowed is in reviews. You know, if you are going to review things and you’re doing it, that’s a consideration. Another issue is whether it’s for commercial use. Are you making money based upon what you are doing. If you are making money based upon it, it’s less likely to be okay. So there’s all of these factors. And I just advise people, especially if you’re not yet to the point that you can hire a lawyer who’s going to actually work with you one-on-one, you don’t want to do it. You just want to avoid doing it altogether. So with movie clips or with images you need to go to the stock places where you can just buy things that you are allowed to use. [HOW CAN YOU PROTECT YOUR INTELLECTUAL PROPERTY?] Joe Sanok: Okay. So then for kind of the average person in private practice, they are probably going to be creating content more than they are going to using people’s content. So assuming that they are using pictures from the right place, that they are not just stealing people’s blog posts which does not relate to my audience. So if you do see a blog post [00:15:02.22] podcast you are not allowed here. So I think more people are going to be creating content that maybe somebody might want to steal or they need to protect. 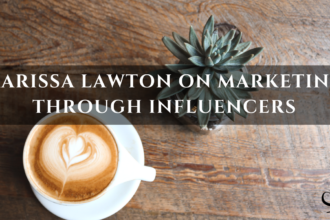 What are things that we need to realistically be aware of, but then also realizing a lot of us are solopreneurs. We have small teams. We don’t have lot of money to invest tens of thousands of dollars into protecting trademarks or a name – like, what should we be aware of in the stuff that we are creating? Bobby Klinck: So what I tell people is the most important piece is making sure you are not stepping on someone else’s toes, quite [00:15:37.07] when are starting out on the trading mark. Again, if you are using your name as the name for your practice, your business, the personal brand is probably not going to be an issue. But for example, something like practice of the practice or my company Your Online Genius. If you use those names, before you start using it you need to do a check to make sure that no one else has trademark rights. And because the problem is otherwise, I mean what I was like to tell people is if you start a business and you use a name that happens to be trademark which you can’t legally use, guess what? They are not going to hear about it at the beginning. You are going to spend a year, two years – I don’t know how long – building the business and at some point you’re going to break through. And if that point whoever has the trademark is going to hear about it and going to come after you. So that’s why I say you have to do the defense work. I mean make sure you are not making a mistake. On the other part, quite honestly, look if someone steals your blog post you’re are never going to sue him about it. You are never going to do much of anything about it. You will have some protections if someone were to steal your content. Your friend is what’s called the Digital Millennium Copyright Act (DMCA) and it’s a way if someone were to steal it and were posting it on some service in the United States. You could go to that service. So for example you go to Facebook if someone posts something on Facebook or LinkedIn. And you could go to them and you just say, this is my copyrighted content. Take it down. And they will. But the problem is going to be most of the people who are going to steal your content are going to be offshore. They are going to be hosted by a company offshore and there’s just not going to be much you can do about it. And quite honestly it doesn’t make sense for you to pay me a dollar to try and do anything about it because what’s going to come off it. 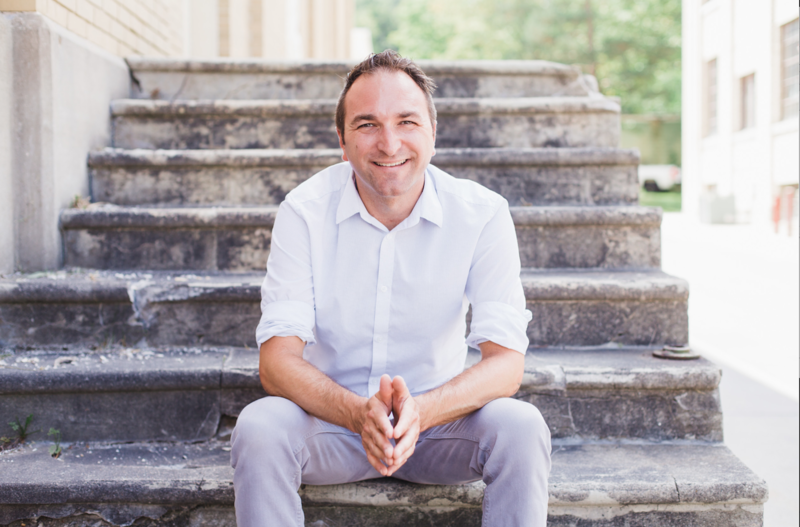 Joe Sanok: I am so glad to hear that because one of the frequent questions that I get from my consulting clients from my Mastermind groups how do I protect these workbook that I made or how do I protect these blog posts and I frequently just say, honestly while I am not a lawyer – I would start with that. I am not an attorney. So if you want legal advice, go to an attorney. But most people really aren’t going to steal. And if you give away a bunch of free stuff, you are most likely going to get more clients out of it than you know having to worry about paying an attorney to protect it. Bobby Klinck: Yeah, again I think your audience and you [00:18:03.04] in a place similar to me which is, look if someone… I [00:18:09.22] an online course right about these issues. If someone wants to steal that, so let’s say someone pays me, gets into course, steals the information, starts selling. If they are not a lawyer, why should anyone going to buy from them instead of me. And if they are going to buy from them because these people are going to say, well, we are going to give it to you at 10% of the cost, well those people will never going to buy from me in the first place. [WHAT INTELLECTUAL PROPERTY SHOULD BE PROTECTED] Joe Sanok: What kind of stuff do you protect of your own? What’s worth kind of putting in that trademark money and at what level? So for example is someone’s at a six figure practice, they have launched an e-course, what are the things they probably should protect and what are the things that they should just totally let go off? Bobby Klinck: Okay. A couple of good things I’ll tell you. Number one, you get some trademark protection and copyright protection automatically. You don’t have to do anything to get protection. You get them by use in trademark. So as soon as you start using your name in commerce, let’s call, you get some protection. You also though with copyright, as soon as you put something in fixed form, you get protection. You can also register both of them. And what I would say is if you have a brand name other than your personal brand, it’s probably worth spending the money to get a registered trademark . It’s not expensive. It’s costs something like, you can find [00:19:26.11] I don’t do this because my hourly rate is not worth it. But you can find attorneys who will file it for you for 150 bucks and you have to pay, I think it’s $225 to the government. So for $375, you can file to register your trademark and then you have kind of absolute protection and you are in good shape with it. 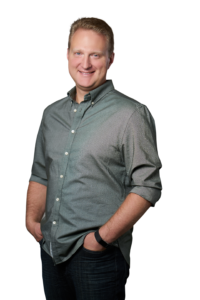 Joe Sanok: Now, like – I’m going to pause you there – what are things to consider before you do that because I have heard if you are not doing in between commerce, like Mental Wellness Counseling is my group practice. It’s in Northern Michigan. Even if somebody in Detroit use that name, it’s not going to affect my business because we are local. Whereas Practice of the Practice is international, goes across States and Countries. Like what would I want to consider with the practice before spending even that 400 bucks on it versus Practice of the Practice? Bobby Klinck: Well, let me back up. The interstate requirement – and it’s good that you have heard this. And again, I don’t want to bore people with getting too detailed about it, but that is because the Federal Government under the Constitution in the U.S. only has the right to govern things that are in interstate commerce. But what you need to understand is that is such a broad construction now where we sit today that even if you’re all in one place, you are still interstate commerce because you are using telephones, you are using the internet. You are using all of these different pieces of it. So you can get protection with a registered trademark no matter what. But it’s always a question of is it worth it. Right? I mean do you care? I mean let’s use an example. Something you can never get a trademark for is main street cafe. Joe Sanok: Do you file the name as well as then do a separate one for your logo and a separate one for courses you do or is that just you do your name and then you are pretty much protected? Joe Sanok: But have you filed on the logo? Bobby Klinck: No, I haven’t [00:23:38.19] because again I mean the logo is great. But to me it’s not worth the extra 400 bucks yet. Now you ask question about a course. The question you need to ask yourself with anything that you are going to file for protection of is this something that’s going to be important to you five year from now. And you know, five years isn’t magic. But I ask the question simply because it’s going to take some time and it’s going to take some cost. And if it’s something that you’re probably not going to be using in a few years, why spend the time, why spend the money? So I would think about it. In my case, I am not. I haven’t filed for my course. But that’s because my brand name is Your Online Genius and my course is safeguard – Your Online Genius. [LAUGH] So it kind of is already somewhat protected because someone would have a tough time using a variation of it. Joe Sanok: Yeah. So what are other things like I love how you say there is common law, there is all these things that basically you are already protected. For me that… I think for myself and for the audience that relieves a lot of anxiety or worry of, oh, okay, I am already protected. What are examples of other things that are just already protected. You know I write a blog post and it sits there. You know it’s time stamped. What are examples of things that they are just pretty much protected without doing anything? Bobby Klinck: So I mean that’s perfect example. Anything that is a copyright-able work. Okay. So that’s a blog post. Anything written, video should create. This podcast actually will have multiple levels of copyright protection. A music. Any of those things automatically get protection – the standard is once it’s put into fixed form. With a blog post as soon as you publish it, it’s protected because it’s in fixed form. With the video, as soon as you publish it – same thing. Even before you publish a video, theoretically it’s in fixed form, but the publication day will be very clear. To be clear though, if you wanted to sue for federal copyright infringement, later, you will have to file to register it. And there are benefits of filing a registration basically right at the beginning or before someone starts stealing it from you. But for most things, this is not going to be worthwhile because you are not going to sue someone who steals a blog post. You are not going to sue someone who steals most things from you. So the advice to give on that is for any kind of seminal work you have, like I have some books I have written. Those I obviously file to get registered copyrights for. If you put out music, an album. Any artist should file to get that registered copyright. And that’s it’s literally just there is a fee – I don’t remember what it is. And then you’ll have to deposit certain number of copies. So you have to send certain number of copies and pay a fee and you get your registration. But again, I would only do it with things that you realistically say, hey, if someone actually stole this and started using it, I would want to sue him. Joe Sanok: Right. So I am really hearing is for the most part, most of the listeners aren’t going to have to worry about filing to protect. It’s more avoiding getting in trouble. [CONFIDENTIALITY AGREEMENTS] Bobby Klinck: Yeah, that’s right. But let me give you the one area where your listeners – everybody need to be thinking. And this is something people – a mistake they make is with the trade secrets. That’s one place you have to take action. You don’t have to file anything. You don’t have to register anything. But you need to have confidentiality agreements in place before you share any information that’s confidential. And so that includes where if you have employees, independent contractors or potential business partners. Those are kind of the big three you need to think about . And the example, I would like to give is when I first started appearing on podcasts, I worked with a company that was doing my booking for me they were basically reaching out to podcast host to get me booked. And I don’t remember the woman’s name but when I first started, first hired them they were all independent contractors. So there was the main company, but all the booking agents were independent contractors. But I think literally then a couple of weeks of me being with them, they were kind of [00:28:00.23] they were in-housing it and going to have employees instead of contractors. Well, if they had not had the right contracts in place with those contractors, the women who had been working with me who is my main contact at the company would have known everything about me. She was my only contact and she would have known what they were charging me. And she got kind [00:28:22.15] said, hey, I am starting my own company. I can provide the service to you at, you know, at 25 percent less or whatever the number is. And I would have gone, sure, why not. But if you have the right confidentiality agreements in place, they can still compete with you, but they can’t use the information they learned. So like she couldn’t use the fact that she knew me because she only learned that though my deal with the company. So those are the kinds of things you can protect and prevent your employees or your contractors from walking out of the door and using to compete against you. Joe Sanok: Yeah, I actually… I am glad you bring that up. My attorney had me add this section for my 1099s, but then also my non-clinical 1099s and both those contracts people can get at www.practiceofthepractice.com/paperwork and is in doc format. So you can have you own attorney revise it for your State. But I had that section. I actually had an assistant that started a competing virtual assistant company and started talking to my own people that I had sent to her, and I was so glad that I had this section because I ended up offering her she could buy those clients outright instead of her just kind of taking them, because I had all legally written out. Obviously, she is no longer with me anymore. But I think it’s so important whether it’s confidentiality around your own clients, but also all those business practices that you do because especially with an intake coordinator or an assistant that may jump and work with other practices. If they are saying, oh, here’s how Mental Illness Counseling does it and let’s do it this way. 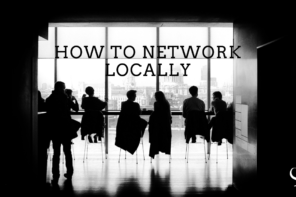 And it’s all these things that really are a unique way that you do it or unique referral sources or ways that they have done that. It’s so important to protect us. So I’m really glad you bring that up, Bobby. Bobby Klinck: … so you have some protection kind of like I do. I don’t have to worry about, for example, an associate leaving and stealing confidential information from my clients because they aren’t allowed to. But that being said, you know, when people leave law firms, they will often try to poach clients. So I don’t like to think of it as an non-compete. But really just saying, hey, you can’t use what [00:30:38.11] the things you are taught about proprietary ways that you are doing intake or that should doing these other things that have value, and that’s what you need to protect. Joe Sanok: I think especially when counselors start a group practice, there are going to be people that choose to leave and go out on their own or switch to another practice. And knowing what your policy is – in regards to okay this person had 20 clients – do those client files go with the person that’s leaving? Do they stay? Do they talk to each individual clients, say would you like to come with me and making sure that you’re very clear about that. 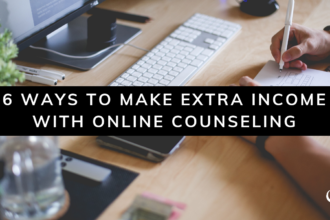 Because there are times when it does make sense for – especially in counseling – for those clients to go with their counselor because they have developed that rapport. But making sure that you’ve kind of figured out before you’re in that situation what’s your policy around it. Do you want that option? Do you want them to never leave, them to always leave? So I think I’m really glad you bring that up. Bobby Klinck: Well, it’s actually you let me [00:31:29.23] on something else there because what you’re hitting on there is not necessarily about confidentiality agreements, but it’s another fundamental mistake. So, although my, you know, kind of I got into advising online entrepreneurs based upon my intellectual property, a lot of what I have to counsel people on is not about them. And one of the most important things I say is you need to have these agreements, those kind of agreements. If you have a partnership or group or anything like that, you need to get those agreements in writing because it forces you to work out the kinds of details you’re talking about. And then there is no dispute when something happens, it’s very clear, let’s look at the document what happens and you don’t then end up hiring someone like me or someone else to come and you know, we are going to have spent a bunch of money on lawyers to fight about something you should have just worked out at the outside. Joe Sanok: Yeah. Now, say in your contract that the client-files stay, the clients stay, you can’t poach them. But then in practice, you end up realizing okay there’s times when that person does need to follow the counselor. Is that okay if you go against the contract, if you both agree on it or does that set a precedent that then is legally harder to stand up to in the future. Bobby Klinck: So what I would say is if you write the contract right now, it’s not going to be a problem because you’re going to have a couple of things. One, every contract will say that the contract can be amended by written agreement, by the parties. So if it’s a contract between two people in the beginning, hey, we can always the two of us could sign an amendment to change the contract. And second, every one of these contracts that I had ever seen on just about anything will always have a clause that says, hey, a waiver of this provision of this contract in one instance does not give rise to any rights. So if you decide to not to fight them on taking a client once, even if you didn’t do a separate written agreement, that wouldn’t necessarily create an expectation. Now, that being said, you and I both know will create expectations. You know if you have a group of five who work together, then one person leaves and even if the contract says the files stay with the group and they take all their clients, well, someone else will be next, it’s going to be expected – that they will take their clients with them as well. So you may end up with a fight on your hands. 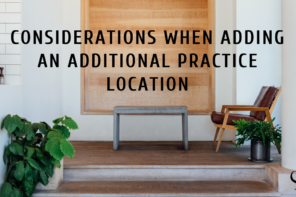 Again, in your practice, I just can’t imagine I would think the clients would normally go with the person, not with the practice. But I could be wrong on that. Joe Sanok: Yeah, and I think there is situations when it makes sense for them to stay or situations for them to leave, whether it’s insurance or private pay. Yeah. So I guess other situations that I am thinking about are anything in regards to kind of making sure we protect ourselves legally from any other situations that arise from your experience with whether it’s counselors or people that have brick and motor practices. Joe Sanok: Actually at the end of every podcast episode, I have this big phrase that my attorney helped me with that basically says that we are not providing legal, accounting, or other professional information. If you want a professional, find one [LAUGH]. Bobby Klinck: Right. These are [00:35:17.21] okay. I mean I have that as a definitive clause. So I have a law firm business. So Klink LLC [00:35:25.03] business which is [00:35:27.14] shifted my educational stuff over there mainly. But even on my law firm, it clearly says this. I am not providing any legal advice. Because you don’t want to find yourself in that situation where you are said to be providing that. So that’s the piece of information to think about. Bobby Klinck: Yeah, that’s right. And again what I tell you is it’s with law it often is a work in progress and that’s part of the problem of why contracts now written by lawyers, tend to be simple contracts. It can be way too long because lawyers have had things bite them in the past [00:39:15.21] everything. 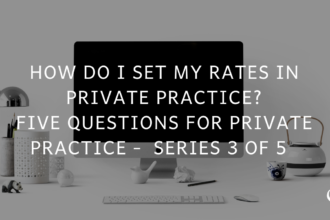 [CONCLUSION] Joe Sanok: So Bobby, the last question I always ask people is if every private practice owner in the world were listening right now, what would you want them to know? Bobby Klinck: Well, what I would want them to know from a legal perspective is that it’s often the case that people when they’re building a business think hey, we can wait and deal with the legal stuff later. And I get that because you’re busy. I have had the same type of thing in building my business. So I understand you probably have a million things on your plate that have to get done. But what I’ll tell you is legal issues are often a little bit different than marketing or other issues. They are in fact under kind of that the standard matrix. They are important and urgent because if you don’t deal with them now, it very well could be… I mean what you’re doing is putting a time bomb in your business. And it could be that that it goes off before you get around to fixing it. And once that happens is going to be impossible to fix. The example of using a name that you can’t legally use for example and then a year later you find out about it and then you’re having to, you know, rebuild a year later and try to fix it in a crisis. So that’s the advice again to people is you need to think about this stuff upfront and deal with it upfront. Joe Sanok: Ah, such great advice. Bobby Klinck what’s the best way for people to connect with you, follow your work, learn more from you? Bobby Klinck: So you can go to my website, is www.youronlinegenius.com. If you are interested, I have a free cheat sheet that kind of walks you through the four biggest mistakes that I see. It’s really focused on online entrepreneurs. But so for your listeners who are actually building online presence make. And you can get that at mistakes.youronlinegenius.com. I have a Facebook page. Again, just search Your Online Genius. You’ll find that in… I do Live’s like I did a Live yesterday and doing another today about images because I had done one and someone asked me some questions. So I address questions. I get there through those Facebook Lives. And then the last place, my Twitter. That’s where I am most active. If you just want, I don’t talk too much about law there. I am more about marketing, sales, entrepreneurship in building a business. So there I am just @bobbyklinck. Joe Sanok: Awesome. We will have link to all of that in our show notes to make sure that you guys have the right spelling of everything and the links. And so that’s going to be right on the main page of Practice of the Practice or if you were listening to this sometime in the future, just click and listen to the podcast when you can see Bobby’s episode right there. Bobby, thanks so much for all the amazing legal advice and all the work you are doing. And have an awesome day. Bobby Klinck: Hey, I have to clarify I didn’t give legal advice. I gave you legal education. Joe Sanok: Ah, there you go. Ha, ha. So [00:41:58.14]. Bobby Klinck: [00:41:58.22]. It has been a pleasure. Thanks [00:42:00.24]. Joe Sanok: Thank you for all of the your perspective on legal education [LAUGH]. Bobby Klinck: [LAUGH] Thank you it’s a pleasure. Joe Sanok: Next week, we are going to be hearing from Phil Singleton who is going to be giving us a ton of actionable information, all about search engine optimization, how to rank higher in Google. Let’s hear a clip. Joe Sanok: So tune into that episode next week. It’s going to be killer. There’s so many actionable items that we’re going to learn. Also if you want a chance to get a free access into my next level Mastermind, usually it’s $600 a month. You are going to get two free consulting sessions with me. You are going to be in a Mastermind group for a year. So we can get 24 of those. You could tend to be on a hot seat where we focus in every three sessions and for a small group of six of people that are just under a $100,000 all the way up to $200,000 or more and you get to come to Slow Down School next year and hang out on the beach and skip stones and drink wine and beer and go wine tasting, and we run full tilt towards your business and focus on the things that you need to be focusing on and figure out how to outsource all the rest of it. Head on over to www.practiceofthepractice.com/brightervision. You have to be a Brighter Vision client in order to be in for that raffle. So again that’s www.practiceofthepractice.com/brightervision and we would love to have you apply to be in that group and be part of that raffle. Thanks for letting me into your ears and into your brain. Have a great week. This podcast is designed to provide accurate and authoritative information in regard to the subject matter covered. It’s given with the understanding that neither the host or the publisher or the guests are rendering any legal, accounting, clinical or other professional information. If you need a professional, you should find one.